American Crew Daily Conditioner is great for giving you hair that looks in peak condition. 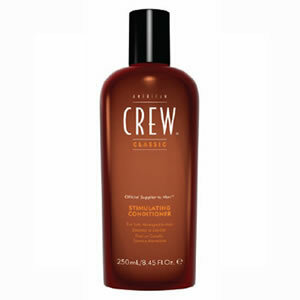 American Crew Daily Conditioner is a stimulating, invigorating hair and scalp treatment, that detangles and makes hair feel smooth and soft. This daily conditioner also contains Panama bark extract to make it feel fresh on the hair and rosemary, thyme, peppermint and menthol help to tone and invigorate, leaving the hair and scalp clean, healthy and shiny.